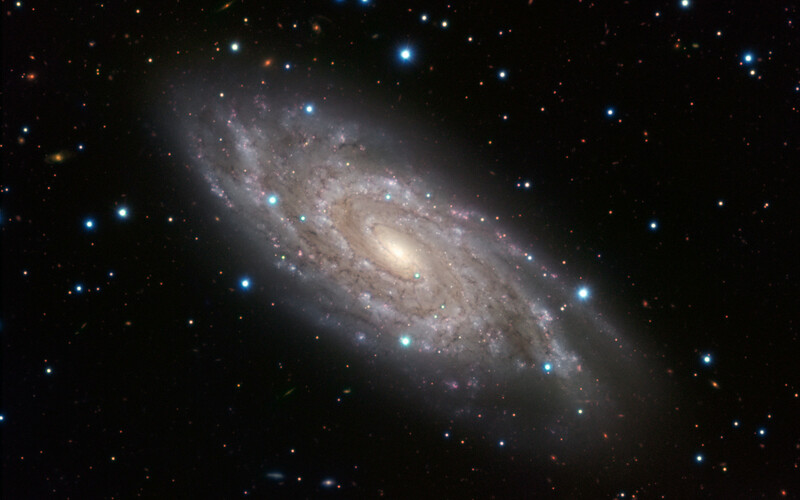 NGC 6118, a grand-design spiral galaxy, shines bright in this image, displaying its central bar and tight spiral arms from its home in the constellation of Serpens (The Snake). 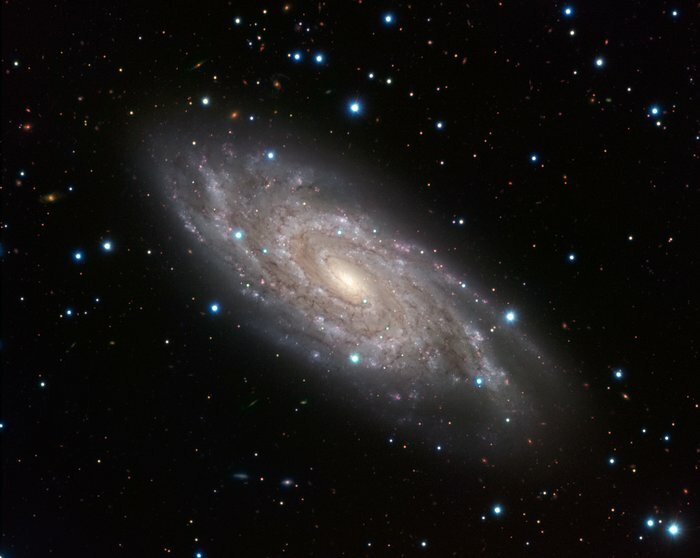 The galaxy is sometimes known to amateur astronomers as the “Blinking Galaxy” because this relatively faint, fuzzy object would appear to flick into existence when viewed through their telescopes in a certain orientation, and then suddenly disappear again as the eye position shifted. The brilliant blue star-forming regions of the galaxy, where hot young stars are born, are beautifully illuminated, even from over 80 million light-years away. In 2004, regular observers of this galaxy saw a “new star” appear near the edge of the galaxy (above the centre of the image). Far from being a new star, this object, supernova 2004dk, is in fact the final, powerful burst of light emitted by the explosion of a star. Though shy to lesser telescopes, the galaxy cannot hide from ESO’s Very Large Telescope (VLT) at Cerro Paranal, Chile. 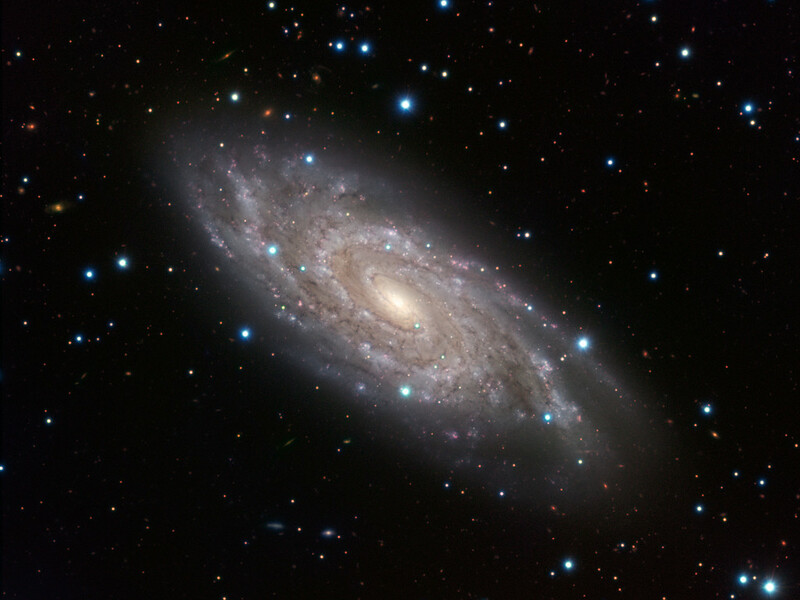 The image was obtained using the VIsible MultiObject Spectrograph (VIMOS) at the VLT. Position (Dec): -2° 16' 59.29"